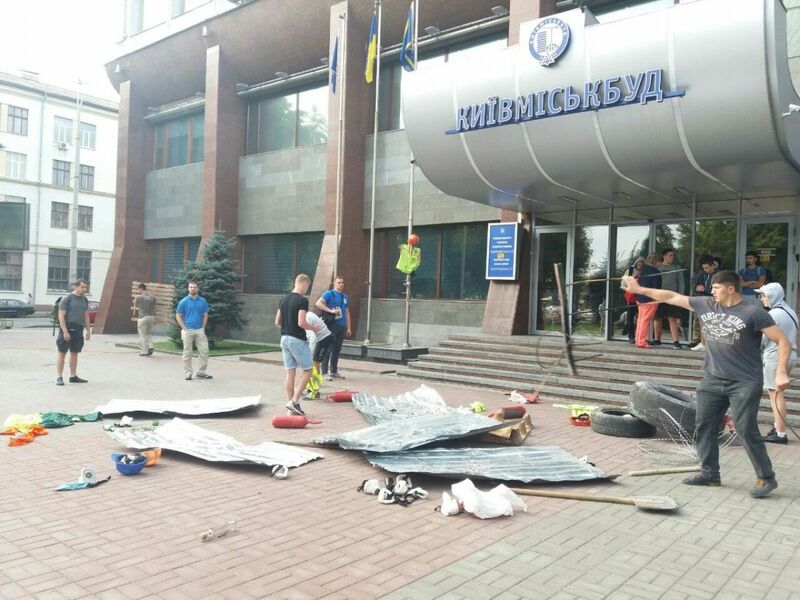 Azov Civil Corp members ended their blockade of the Kyiv office of a large construction firm, Kyivmiskbud, on September 9, after a clash over a disputed construction site on the previous day. 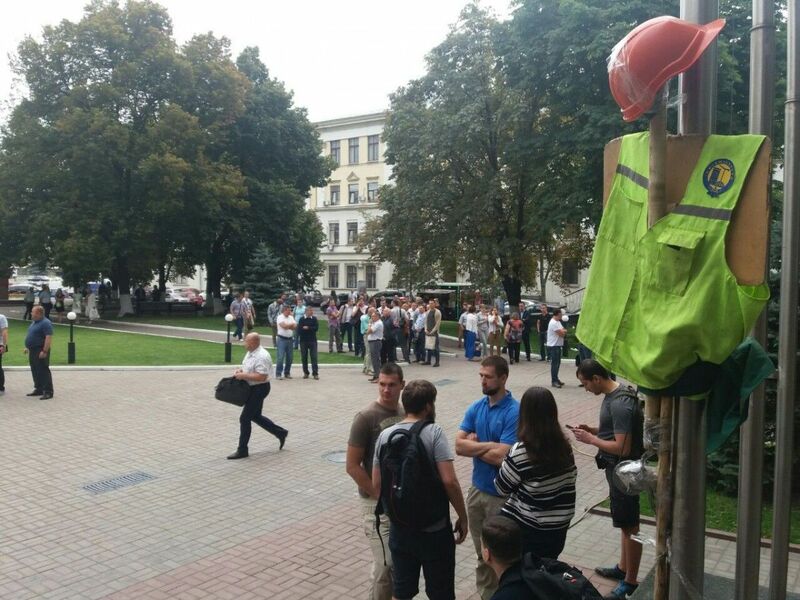 However, the company's employees are still unable to enter the offices and say they have not received instructions from the management, according to 112.ua. 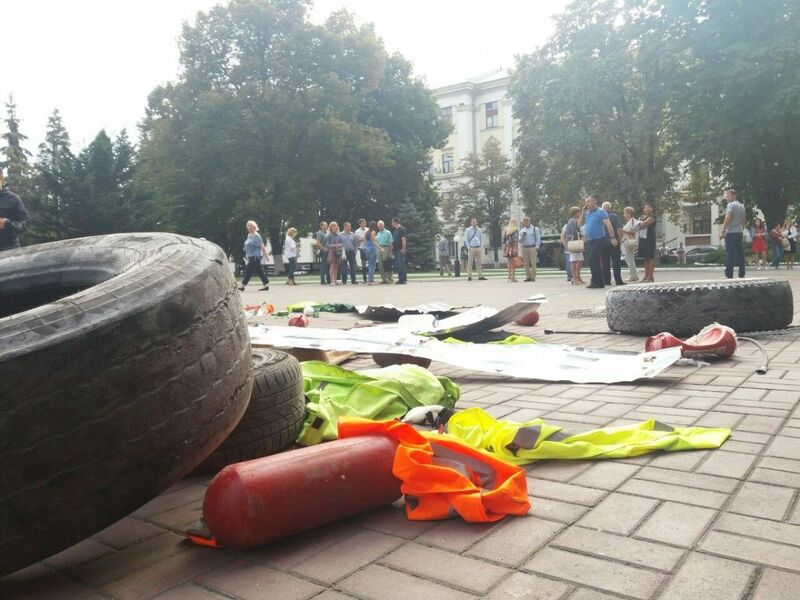 Some 30 activists are reported to have participated in the blockade. 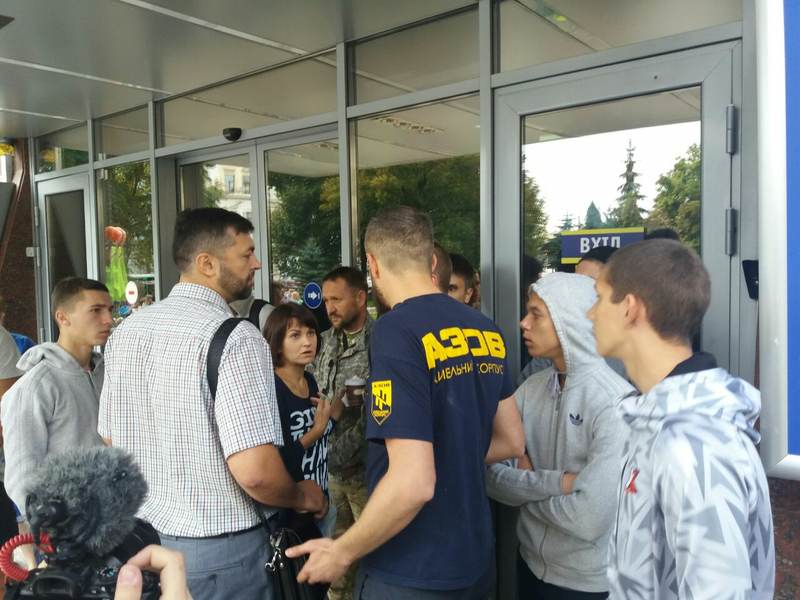 When law-enforcement agents arrived, the situation stabilized. Patrol police were also at the site, which is now guarded by National Guardsmen. Witnesses claim some law-enforcement officers have been injured. 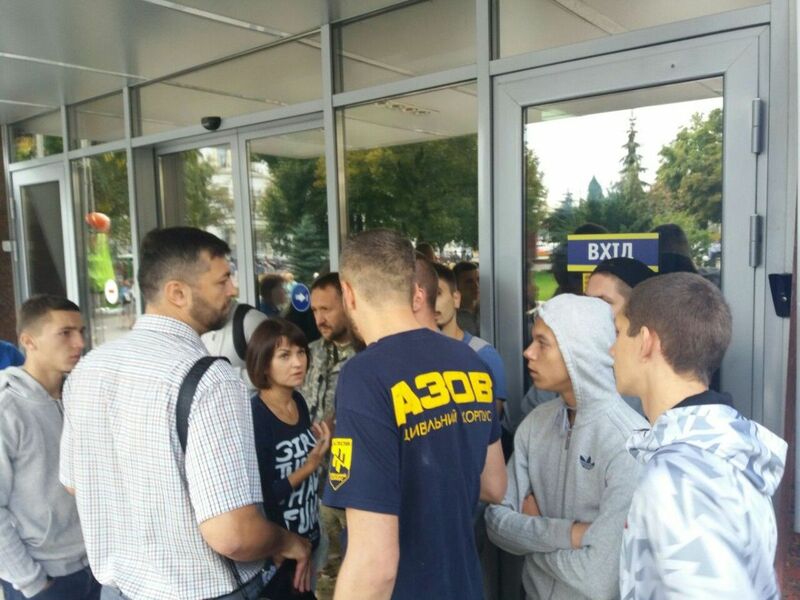 As UNIAN reported earlier, Azov members blocked all doors leading into the office building. 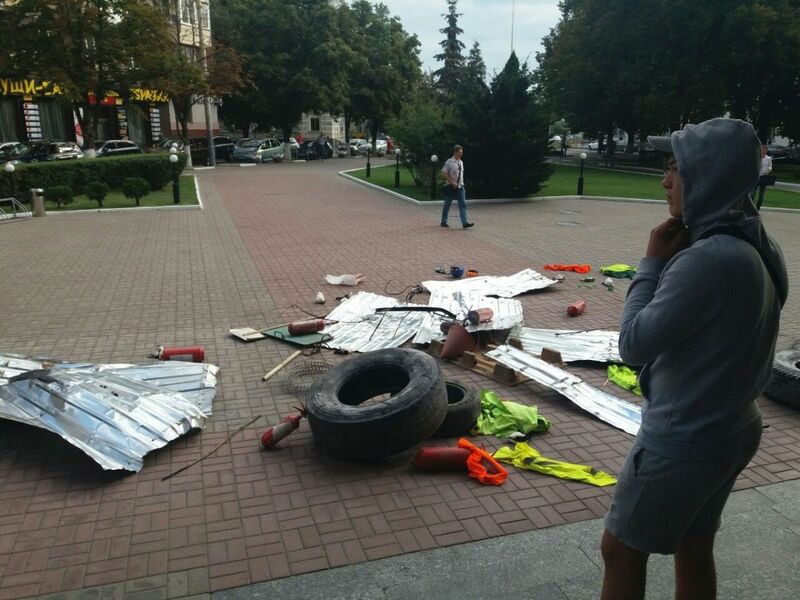 According to Azov members, they brought with them those objects used by unidentified men as weapons to attack activists who opposed the disputed construction. 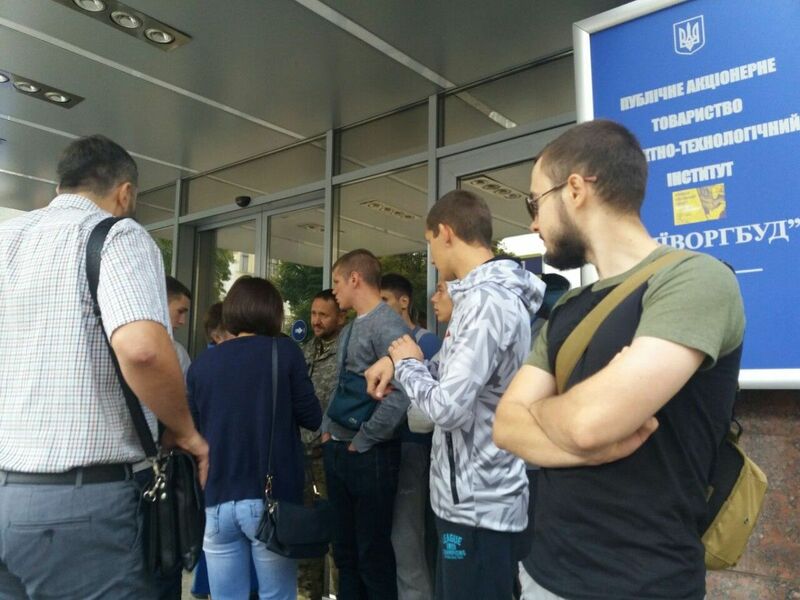 In turn, journalist Anna Nedogibchenko wrote on Facebook that Azov members were not allowing the firm's employees to enter the office building. Further, smoke bombs were thrown and fighting was reported to have broken out. 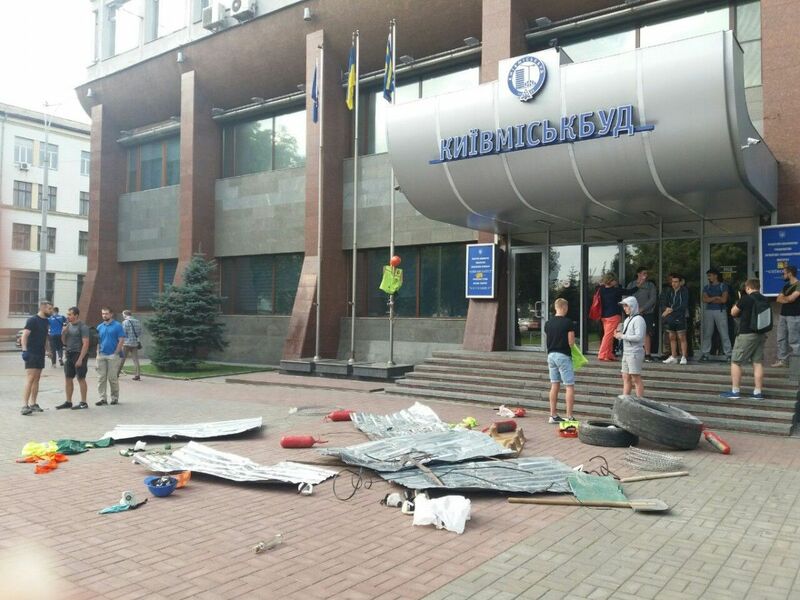 Prior to the incident, on September 8, there was a clash between local residents supported by Azov and men who guarded the construction site in Kyiv's Svyatoshyn district. 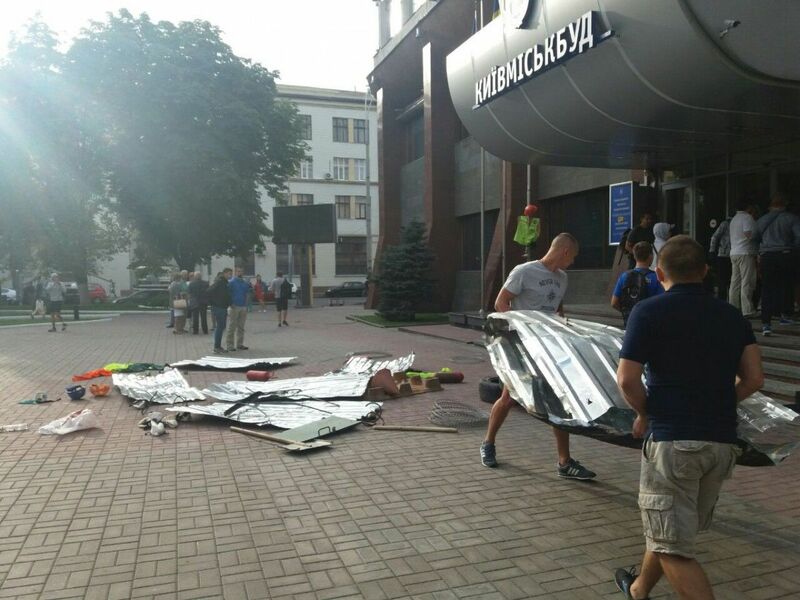 Injuries were reported following the clash.